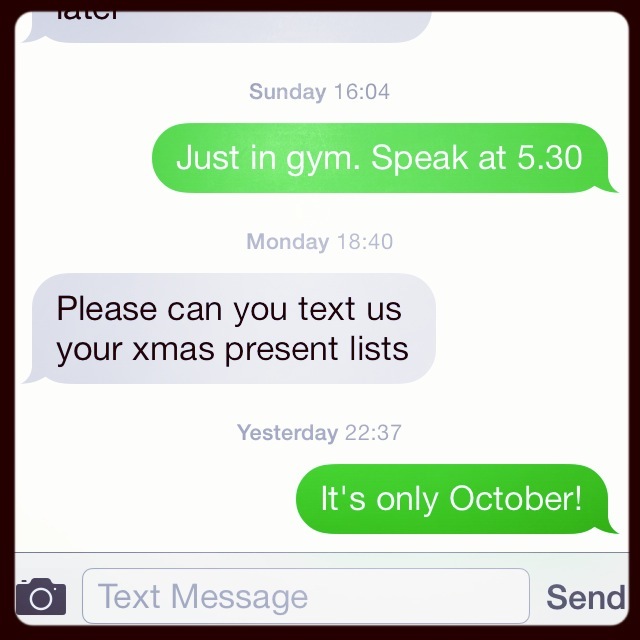 Every October, my mother requests a christmas present list from me. If I don’t comply, she will keep texting every week until I give in and text back: ‘I don’t know – just get me a book!’. It’s stressful trying to come up with gifts they can buy for me. The Christmas Present List works both ways. The parents are not keen on receiving random presents for birthdays and Christmases – for fear of ‘unwanted tat’ taking over their home. So, every year, they present family members with a wish list, that usually contains a series of strangely-practical gifts. The funniest part of this long-held family tradition is that once you’ve sourced the items off the present list, wrapped them up and popped them under the Christmas tree, my mother pretends that she has no idea what she’s getting at all. Despite the parents’ detailed present list, there’s still the occasional surprise come Christmas Day. 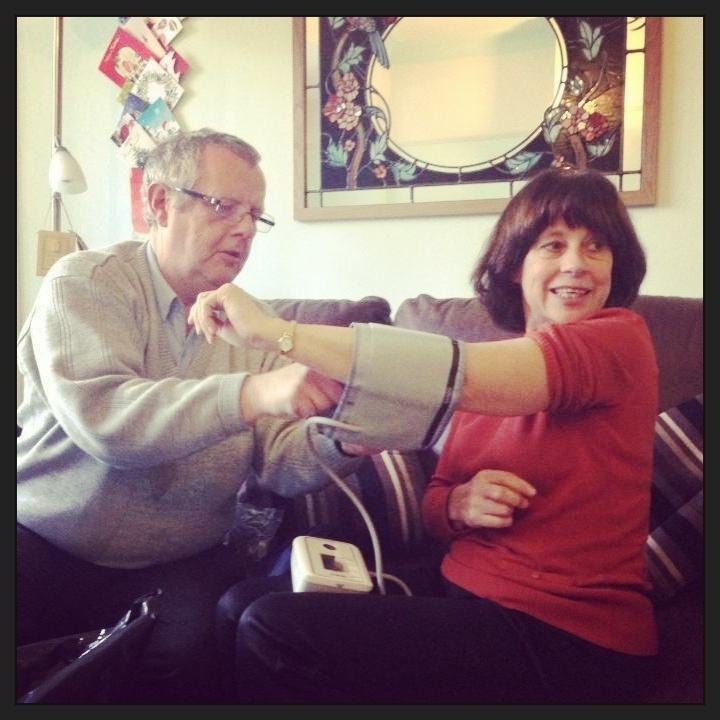 Uncle Stephen (my mother’s brother) went ‘off list’ last Christmas and splashed out on one of the strangest gifts for my mother yet: a blood pressure monitor (him and my mother are a little obsessed with their cholesteral and blood pressure). 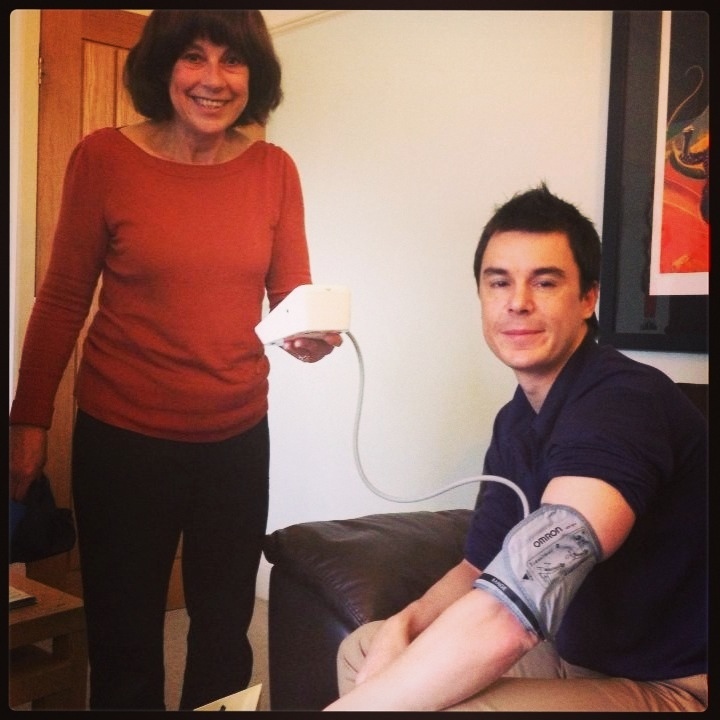 No sooner was it unwrapped, than the whole family were strapping it onto their arms, in a strangely competitive game of ‘My blood pressure’s lower than yours’. For my birthday in August, I was forced to provide my own present list. In the end, I asked the parents to get me an ‘Jawbone UP band’ (for more details on this device see Curse of the Cankles – my mother is completely bamboozled by its purpose), and from the sister, I requested a new hairdryer. Being an obsessive control freak, it didn’t want just any old hairdryer. I wanted a Parlux Ionic 3200, which I had decided on after several hours of reading reviews. I even sent my sister the Amazon link to make things as easy as possible. I suppose that if was feeling truly helpful, I could just have purchased the presents myself, cutting them out of the equation altogether, and then just getting my sister and the parents to give me the cold hard cash. My mother-in-law asks for it November 1st.